Boyfriend Woolen Coat, the woolen cloth and PU leather design embodies the autumn/winter fashion. Epaulettes, stand-collar and cuffs zipper specially designed for girls like street style. Two buttons at the top of chest can easily reflect three wear with a coat. Fashionable and retro, handsome and elegant. This is originally priced at $109.99, but for one day only this will be available to my readers for $36.99 and you can receive a special $5 off $35 purchase starting Nov 17th GMT. 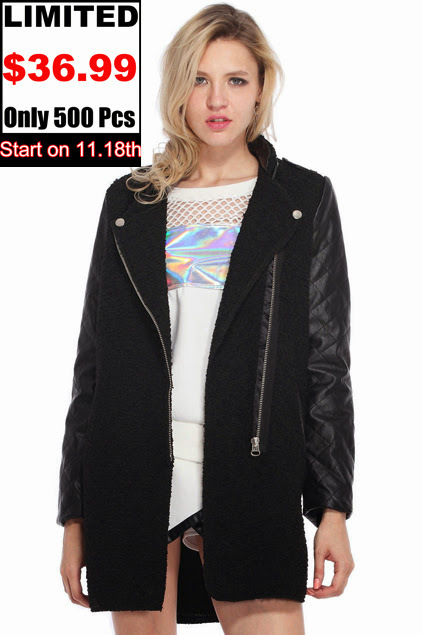 Don't Miss This Awesome Buy From Romwe. Check out other deals at Romwe this month.